New Blog Series Coming called "BeneFIT PT's Guide to Working Out"
One of the most common questions the BeneFIT PT staff hears from people (patients, family, friends, and others) is how did we start working out!? Similarly one of the things in life we here hear the most excuses for is not being able to work out! How is it that “working out” can be something that veritably everyone wants to do, yet is one of the major struggles of life. Starting this week, BeneFIT PT is launching a new blog series called “BeneFIT PT’s Guide to Working Out.” In this series, there will be weekly blog posts about a variety of topics when it comes to why people are scared to workout, getting to the gym and hitting your goals. 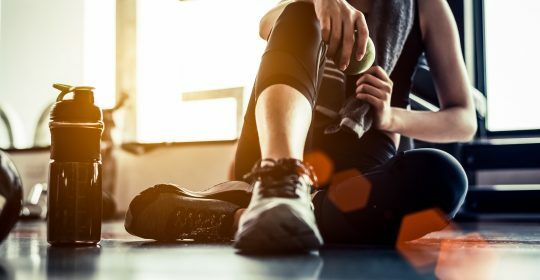 In case you are on the fence regarding whether you should be working out or not, read a few of the statistics that are out there. The data was garnered through the National Health and Nutrition Examination Survey (NHANES) relies heavily on the Body Mass Index (BMI). Specifically, the World Health Organization (WHO) adopted the use of the BMI as a obesity indicator in 1993 and now it is used as a quick test to qualify overweight, obese, or super obese. Regardless, as a quick data point, the information is startling. Just over 70% of Americans (ages 20 and older) are overweight or obese (70.2%). If we lined up 10 random people off the street, 7 of them would be overweight or obese. Men came in at almost 75% (73.7%) while woman were lower but still an alarming two thirds (66.9%). However, you might be thinking that a greater proportion of those percentages were for overweight people, because who couldn’t stand to loose a few pounds. Unfortunately, the percentage of overweight to obese was almost equal in men 38.7% were overweight, while 35% were considered obese. While for women, those numbers are more discouraging. 26.5% of women were found to be overweight compared to an alarming 40.4% of women were considered obese. America is not “a little” plump but a lot more plump than we think and we are trending towards outright obesity. Since 1960, the percentage of both overweight men and women stayed pretty consistent. Gor the first 30-40 years the line graphs are practically straight lines, with some slight variations occurring over the past 20 years. However, since the early 1980s the percentage of obese men and women has steadily climbed from 10-15% respectively to the current levels (35-40% respectively). Even more alarming than our bulging adult population are our children. According to the data from the NIH 17.2% of children and teens, from 2- 19 years old, were considered to have obesity. The breakdown was as follows: children 2-5 years old 9.4%, 6-11 years old 17.4%, and 12-19 years old 20.6%. Numbers that are eye opening as unlike the adult percentages these numbers only reflect obese children and teens—it does not include overweight children and teens.